Nexstar Media Group Inc. is the largest TV station operator in the country. With the reach of 171 television stations in 100 markets addressing nearly 38.7% of US television households, and a diversified, growing digital media operation. Nexstar Media Group Inc. is the parent company of Nexstar Broadcasting Group, Inc. & Nexstar Digital LLC. Learn more at nexstar.tv. 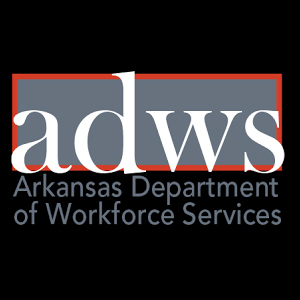 KNWA-TV/KFTA-TV, NBC and FOX affiliates in Northwest Arkansas, are looking for an experienced and driven Weekend Anchor to join our team! The Weekend Anchor is tasked with anchoring and producing the weekend newscasts, and is an MMJ Reporter during the week. The Weekend Anchor may also fill in for main anchoring talent during the week. We need an anchor with great writing and producing skills, a knack for showcasing content and attention to detail, and a strong sense of urgency. The right candidate understands local news, can enterprise stories, and enjoys the hectic pace of a newsroom. Above all, we're looking for someone with an optimistic outlook and a winning attitude to lead our weekend team! If interested, email resume and reel to News Director Lisa Brence at lbrence@knwa.com. Northwest Arkansas is a rapidly growing and vibrant community filled with rolling hills, rivers, lakes and Fortune 500 company headquarters. Our population just crossed 500k and is rising. Why? Because high-end business industries are here and they are bringing in some of the best talent in their fields, cost of living is low, quality of living is high and we fill up our days/nights with world-class museums, performing arts centers, major sporting venues, amazing concerts, fantastic foodie destinations and tons of community-centric events. Our employees love it here too! Our newsroom is forward-thinking and built on a strong emphasis of positive reinforcement, feedback, growth and development of talent and a desire to win. We are consistently winning awards from our local audiences for our commitment to our community and our service-centered sense of duty. Whether you are looking for a place to settle in or a place to equip yourself and launch into that “big step” – we have a proven track record of providing both outcomes. Acts as a field reporter as assigned. Writes content for the website and other eMedia platforms. Bachelor’s degree in Broadcast Journalism, or a related field, or an equivalent combination of education and work-related experience. Excellent news judgment with an expansive knowledge of local and national current events, history, newsmakers and issues. Ability to effectively listen to fully understand problems and communicate with a team to shape a solution. The News Anchor must be able to sit, conduct telephone conversations, use electronic mail, write letters and memos, conduct face-to-face discussions with individuals or groups, make decisions without supervision, make decisions that impact the results of co-workers, work in close proximity to others, work outdoors occasionally in all weather conditions, and work indoors in environmentally controlled conditions. In addition, the News Anchor must be able to handle, control or feel objects, tools or controls. Work may be conducted in extremely bright or inadequate lighting conditions.